The Artesia man fatally wounded in a shootout with authorities Tuesday morning was suspected of illegal arms dealing. 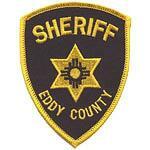 The incident occurred just before 6:30 a.m. Tuesday when law enforcement with the Eddy County Sheriff’s Office, Pecos Valley Drug Task Force, and Bureau of Alcohol, Tobacco, Firearms and Explosives attempted to serve a warrant at the home of Michael Todd Evans, 47. Evans fired upon officers, who returned fire. He was pronounced dead at the scene. Evans was reportedly wanted for the alleged sale of a sawed-off shotgun to undercover agents. The shooting is currently under investigation by the New Mexico State Police.